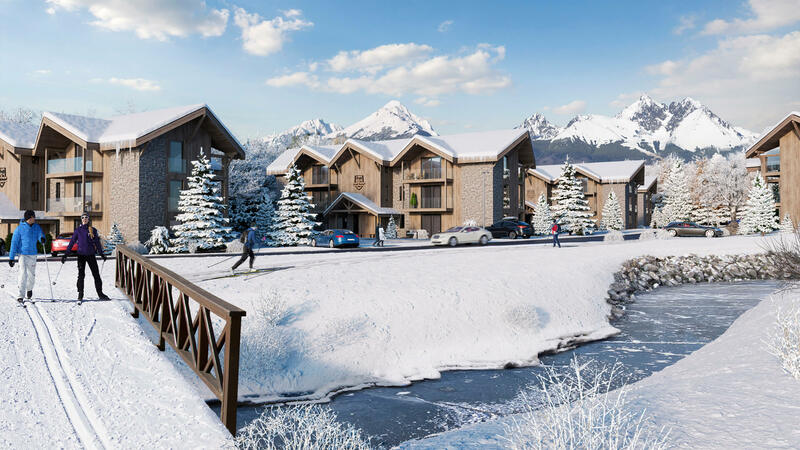 The project consists of six apartment houses situated under the highest mountains of Slovakia and with a close connection to an existing Golf course. The client asked me to create exterior and interior viusalizations of this mountain resort, and I really enjoyed it because I had a quite free hand for it. I tried to show the beautiful view from the site and to show the project under various light and weather conditions. I created a short CGI breakdown video of how I made the winter image.